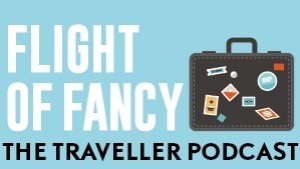 "The trick is not to think too much before you do it," my travelling companion instructs me. And so, taking a brisk run-up along the dusty track, I grab the top of the four-foot iron gate and with all the strength I can muster, toss myself feet over head to the other side. I land, stunned but exhilarated, to the sound of my friend's surprised applause. She dared me to try this "gate vault" (an essential rural manoeuvre, apparently) but never expected me to do it. Neither did I actually. Glancing around, I quickly place the blame for my uncharacteristically perilous behaviour on the raw, half-a-billion-year-old landscape surrounding me. The Flinders Ranges, I decide, is a place that makes you go a bit wild. 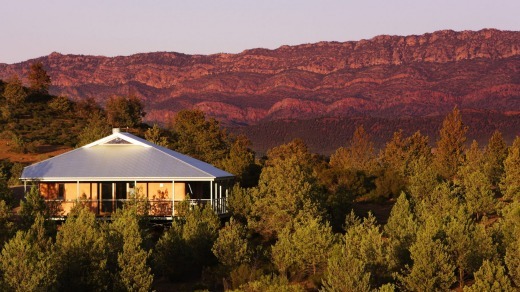 Luxury Eco-villas Rawnsley Park Station Flinders Ranges. Not that sipping South Australian sparkling wine and nibbling canapes while watching the sunset is exactly wild. But that's just what we find ourselves doing an hour later, having been driven by 4WD through Rawnsley Park, the 12,000-hectare working sheep station we're staying at for the next two nights, to a hilltop vantage point overlooking the copper-hued Chase Range. Before coming here I had assumed, being an outback neophyte, that the landscape would be desolate. Looking at it now, though, I see it's very much alive. A wattle bursts forth with golden flower to my left. A duo of burly red kangaroos bound by below. Ancient gums whisper all around, while the setting sun sets the rose, red and grey layers of the awesome natural amphitheatre of Wilpena Pound behind us ablaze. We are bewitched, and lift our glasses to toast our host Tony Smith, whose family has owned Rawnsley Park since 1953. The accommodation here is truly lovely. 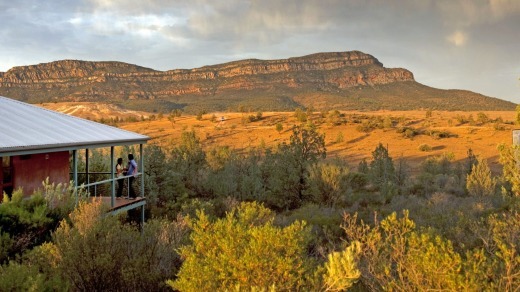 We're staying in rose-coloured eco villas overlooking the south side of Wilpena Pound, which have glass panels set into the ceilings so guests can stargaze from bed. As charming as they are though, the real stars of this slice of the Australian outback await outside. The following morning, we wake at sunrise for a bushwalk through the property with Smith. 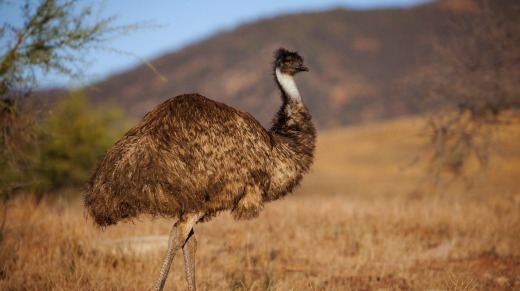 As we tramp along in the soft morning light a bracing breeze whips through the native pines and prickly acacias, as Smith points out wild peach trees, stubby yakkas and a family of emus bobbing by in the distance. We lose ourselves in the meditative walking and observing, until Smith stoops to examine the earth, rising with a chunk of clear pink quartz nestled in his palm. "This land is a true treasure chest, you never know what you might find," he says from beneath his Akubra. The truth of his words becomes clear later in the afternoon, during a visit to Brachina Gorge. Driving through the dramatic ravine, striped ochre, orange and rose, is like travelling through a time machine. "This gorge is a window into 650 million years of the Earth's history," says our driver and guide Peter Roberts over the hum of the engine. "It provides geologists with one of the most complete sedimentary records of anywhere in the world, and gives us a rare insight into how this planet of ours was formed." Brachina is also an important refuge for the threatened yellow-footed rock wallaby. We spy a group of the rare creatures feeding in a dry creek bed, their thick ringed tails swishing across the million-year-old rocks, their short paws drawn up near their pointy faces as they eye us suspiciously. It would be a shame, after all this adventuring, to end the day inside. After a hearty four-course lamb dinner back at Rawnsley Park's Woolshed restaurant, we head outside armed with torches, a guitar and many bottles of wine in search of a field to stargaze in. We find our spot next to an old sheep station ruin. 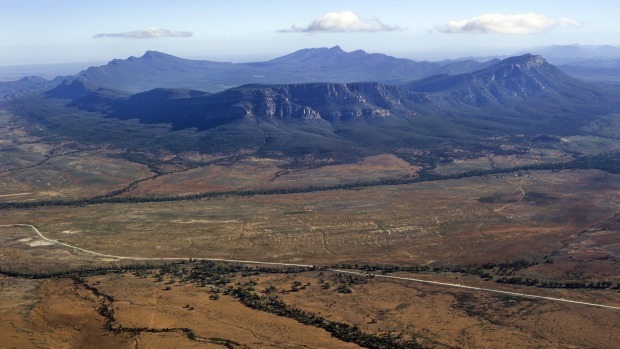 There's a sunrise flight to be taken over Wilpena Pound tomorrow, accompanied by a pre-dawn wake-up call. But the spirit of this wild, ancient place snatches us up and we soon find ourselves reaching for the next glass of Clare Valley shiraz, our voices singing out into the night.